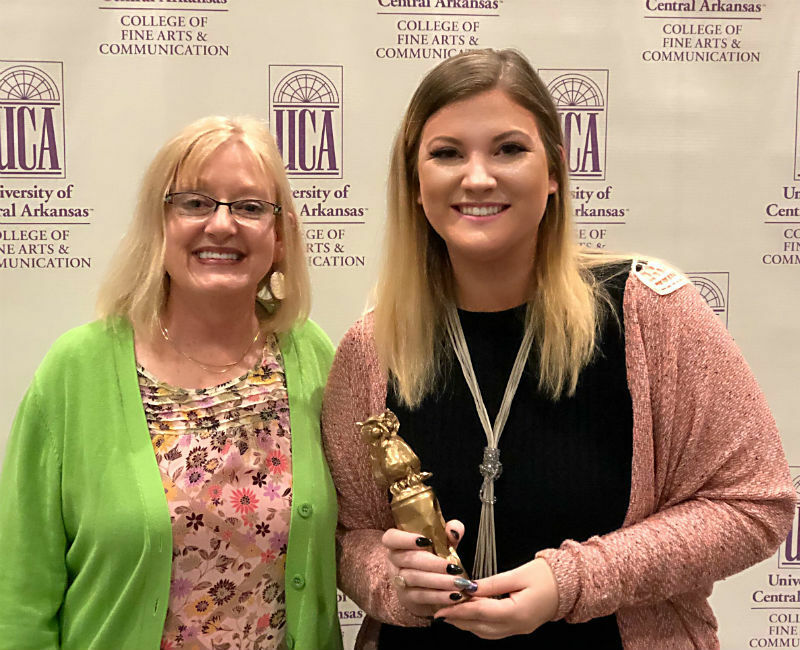 Savanna Moore, who joined the West Side High School staff in January, was named the top Art Education Student of the Year by the College of Fine Arts and Communications at the University of Central Arkansas in Conway. At its annual Student Awards ceremony last week, the college honored Ms. Moore and other students with a reception and awards ceremony. Dr. Deborah Kuster (left in photo), an art education internship professor, nominated Ms. Moore for the award.